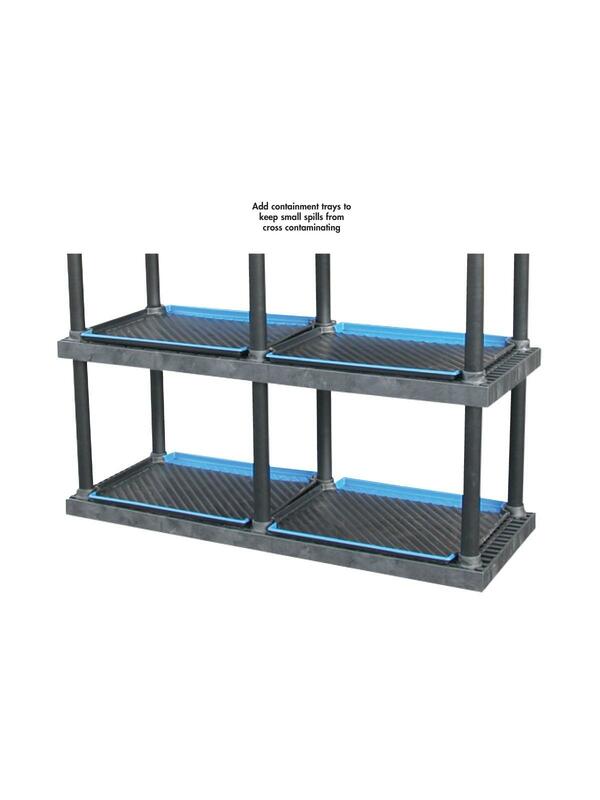 Containment Trays For Dura-Shelf® Plastic Bulk Shelving | Fredon Handling, Inc.
For use with Dura-Shelf® Plastic Bulk Shelving. Available in OSHA-approved chemical storage color coding. 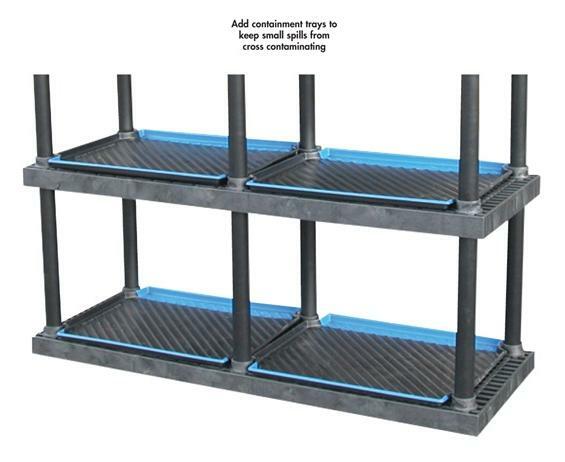 Add containment trays to keep small spills from cross contaminating. Add contaiment trays to Dura-Shelf to classify storage of a variety of items based on OSHA color-coding requirements. Containment trays are available for most 24" systems.